Voith® Torque Converter Turbine Starters are an excellent, world-class choice for starting gas turbines. Just like any critical machine, they need maintenance and repair. 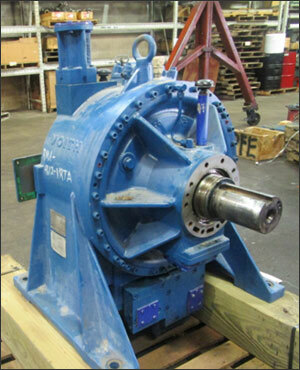 PowerFlow Engineering, Inc. will repair or overhaul Voith® Turbine Starters with the shortest lead times and the lowest cost! We can even upgrade Voith® Turbine Starters to better performance standards than the OEM! 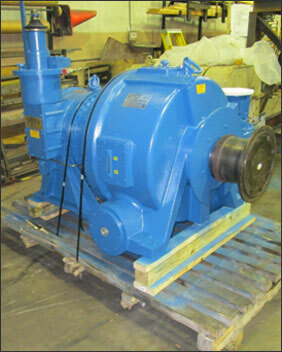 PowerFlow Engineering is here to ensure your turbine starting operations run smooth, cost-effectively and with little or no down-time! 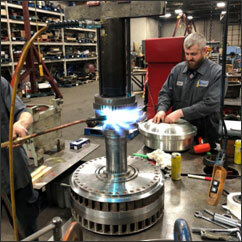 We have over 30 years of experience in the energy and utilities industry and involve the customer throughout our process. Our philosophy of repairing components first, instead of automatically replacing them enables us to keep costs down. PowerFlow has expertise with the Voith® EL 7.5 ZFT, the Voith® EL 7.5 YGTM Torque Converter Turbine Starters and is on an exciting path to grow its competency in more Voith® Torque Converter Turbine Starter models! 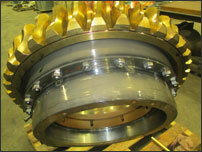 We have a talented staff of mechanical and industrial engineers working alongside highly skilled technicians. 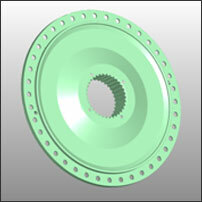 The PowerFlow team has reverse-engineered Voith® Turbine Starter components. 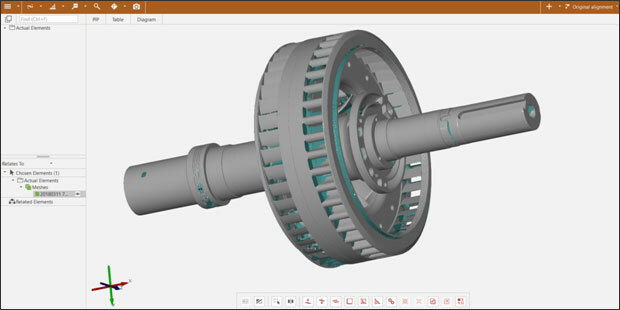 In some cases, we have modified and improved upon OEM designs and maintain an in-house database of engineering drawings and CAD models. We have capabilities in failure analysis, material analysis, 3 dimensional scanning and modeling, component design and reconditioning. 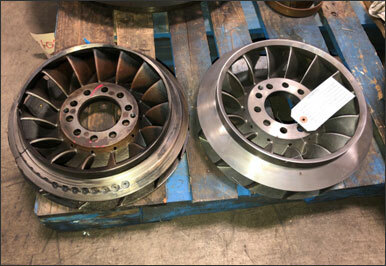 We keep an inventory of the most common replacement turbine starter parts on-hand. 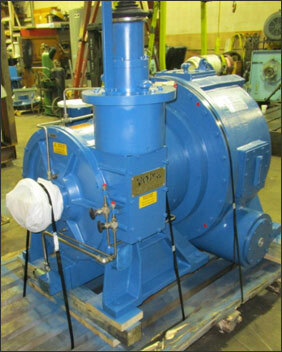 PowerFlow Engineering, Inc. has no affiliation with the Voith® Group of Companies, and do not intend to suggest or imply any affiliation on this website.